One of the most common questions we get at www.OpenAirLifestylesLLC.com is “what is all-weather wicker outdoor furniture and how is it different from synthetic wicker, resin wicker or outdoor wicker furniture?” Well truth be told they are all the same. That’s not to say that Resin is just another way of saying plastic. So it is synthetic. So resin wicker and synthetic wicker are just fancy ways to say plastic wicker outdoor furniture. Of course most of the outdoor furniture brands use the word plastic when describing their furniture. 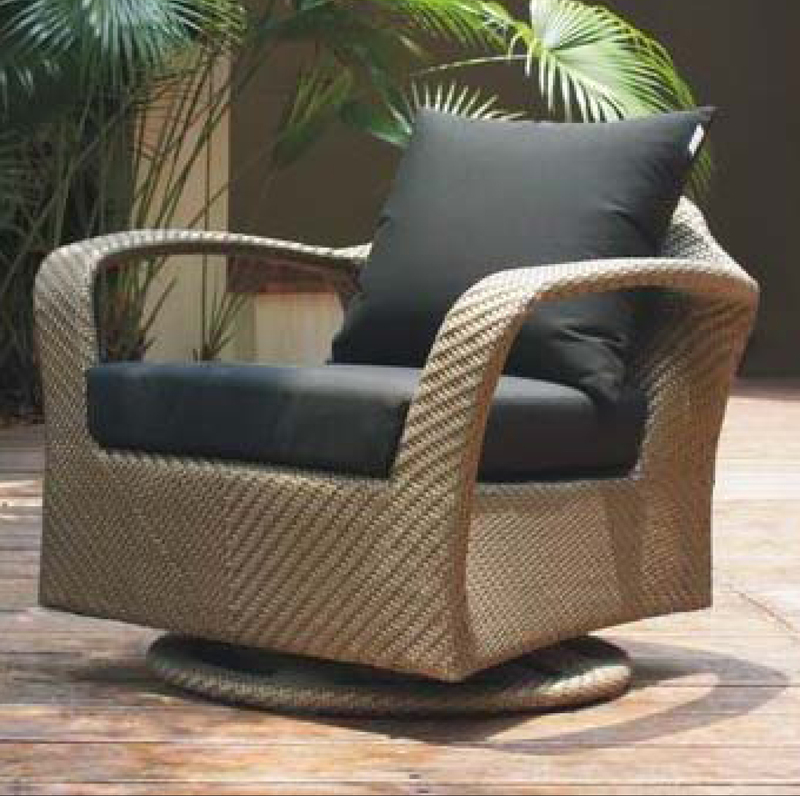 Although all weather wicker outdoor furniture is made of plastic, it’s not JUST plastic. To make high quality outdoor furniture that will last for years in the hot sun without ever fading or cracking very special plastics are used complete with UV inhibitors and color that’s dyed through vs. coated on the outside. The quality of plastic used can vary drastically so make sure you read up on how to pick a the best wicker and what to avoid. Polyethylene is the material recommended and used by almost all high-end furniture manufacturers. When quality plastics are used the result is the most durable and stylish outdoor furniture on the planet. A perfect example of high quality resin wicker is Viro Fiber, what we use exclusively here at Open Air Lifestyles, LLC. See for your self what the difference really is. Another element important to the construction of quality outdoor wicker furniture is aluminum. Among metals, aluminum is extremely light weight and durable and it does not rust either making it the ideal metal for outdoor furniture. Another benefit of aluminum is that it is easy to work with so designers can create elaborate shapes like those found on outdoor wicker daybeds. Avoid frames that are made of steel because they are heavy and will rust. There are also different grades and thickness of the aluminum tube used for the furniture frames. Be sure to ask these important questions when your buying patio furniture. So before you click purchase, now make sure the product your purchasing is made with a quality aluminum frame that will hold up long term in the elements!